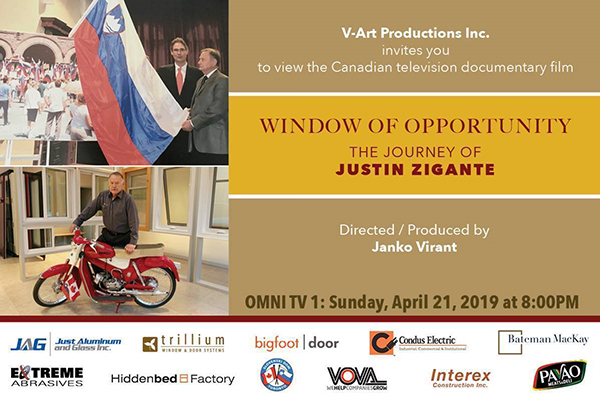 It is my pleasure to let you know that showing of the Slovenian film, “ WINDOW OF OPPORTUNITY-The Journey of Justin Zigante” will be repeated. The film will be shown on Sunday, April 21, 2019 at 8:00 p.m. on OMNI TV 1. 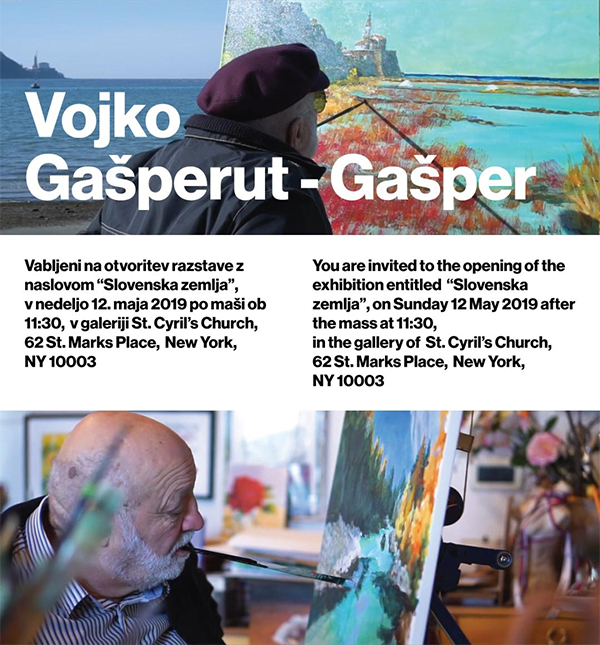 This is another opportunity to see the life story of Slovenski Dom member Justin Zigante who came to Canada with nothing and established a successful family business which has been employing many Slovenians and Canadians. 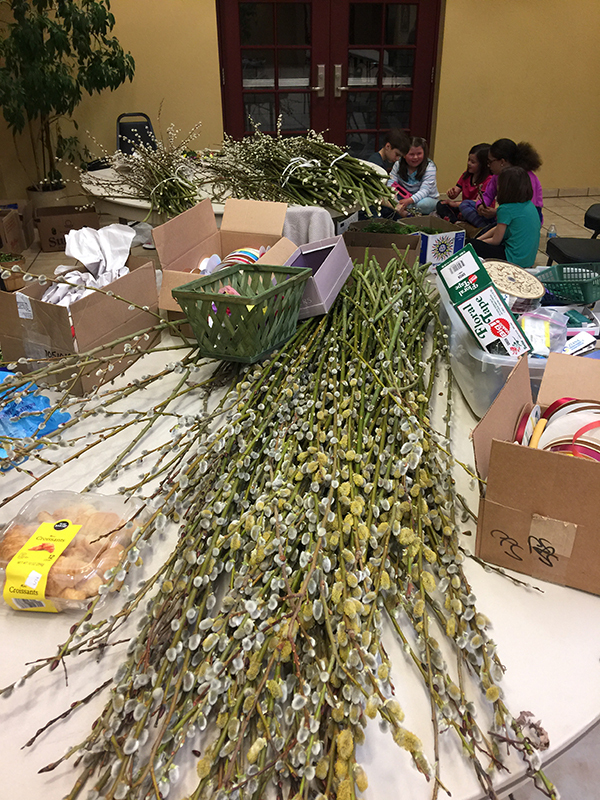 St. Mary’s Parish Slovenian School in Cleveland’s Collinwood neighborhood create tradition Butare for Palm Sunday Mass. Tony Petkovsek, who began his career on Slovenian polka radio in1961, an unprecedented 57 years in broadcasting, passed away at the age of 77 this week. His popular music and community service show, which he produced and announced with his own sponsors, continues today in his name and tradition, featuring Cleveland Style and Slovenian Folk music, interspersed with interviews of civic, travel and entertainment personalities. For 50 years, the radio programs were broadcast live daily and on location from Kollander World Travel, formerly Tony’s Polka Village on East 185th St. in Cleveland Ohio. He later moved the broadcast to his condominium radio studio in Fairport Harbor and most recently was heard broadcasting from his home at St. Vitus Village in Cleveland. 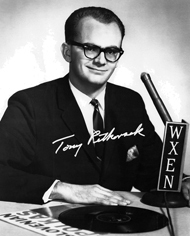 Prior to 1981 he was on the FM stations of WXEN, WZAK, WBOE and Cleveland Public Radio WCPN. Over his career, he interviewed the many polka music leaders locally, nationally and internationally including Frank Yankovic, Lawrence Welk, Bobby Vinton plus renowned folk artists Lojze Slak and Slavko Avsenik of Slovenia. He taped conversations with two presidents of Slovenia and national news correspondants here in the United States. He was a former partner and vice president at the long established Kollander World Travel Inc. (a division of Kompas Tours in Europe). In 1967, Tony originated the concept of the “Polka Tour” and as a result, arranged and co-hosted thousands of travelers to see the world, accompanied by polka bands from across the country. The tours took talented musicians and bands on planes, cruise ships, motor coaches, trains throughout the world, and tours through all of Europe, South America, the Caribbean, Alaska, Hawaii, and even Australia, all guided by “America’s Polka Ambassador”, Tony Petkovsek. He traveled to his beloved Slovenia over 50 times throughout his life. Tony established a core volunteer booster group, his own “Cleveland Slovenian Radio Club” committee. Many community projects ensued over the years raising thousands of dollars through “Radiothons” for the Slovene Home for the Aged and for the then new independent country of Slovenia to be recognized by the US government in 1991. In 1963, Thanksgiving became a polka holiday weekend for Clevelanders and travelers alike, commemorating Tony’s initial broadcast on Thanksgiving Day, 1961. His Radio Club sponsored these Thanksgiving Festival events, originally held at the Slovenian National Home on St. Clair Avenue, followed by St. Joseph High School on E. 185th Street, and for the last several decades, the event has continued in Tony’s tradition at the Marriott Hotel, downtown Cleveland, attracting thousands of fans from over 20 States, Canada, and Europe as the premiere Cleveland-Slovenian style event. He has been an active founding member of the American Slovenian Polka Foundation which established the National Cleveland-Style Polka Hall of Fame in Euclid. 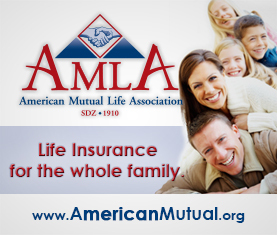 He is a Lifetime Achievement Award Winner and Chairman Emeritus of that organization. In former years, Tony also helped organize some of Cleveland’s largest outdoor festivals on E. 185th Street, known as the “Old World Festival“ as the volunteer entertainment chairman, serving on the board of the Northeast Shores Development Corporation. As a former resident and businessman in the E. 185th Street, former Cleveland Mayors Voinovich and White appointed Tony to the Board of Zoning Appeals at Cleveland City Hall. He later served Governor Voinovich on the Ohio Arts Council and also emceed two gubernatorial inaugurations in Columbus for his longtime friend George Voinovich. 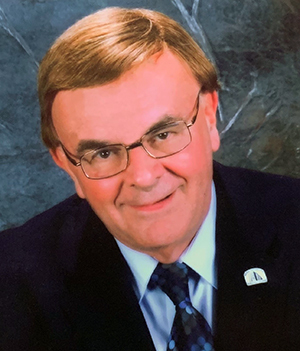 Throughout his career, he received over 100 awards and proclamations presented by international, national, state, county and city representatives and organizations for his contributions to the community. In 1967, he was named “Slovenian Man of the Year” by the federation of Slovenian Homes becoming the youngest person ever to receive this great honor. With the distinction of hosting America’s longest daily polka and nationality radio show, he was inducted into the prestigious National Broadcasters Hall of Fame in 1991. He considers the Slovenian polka community as his true “family” and is grateful for the support he has received. His popular polka music and community service show, continues in his name and tradition on Saturdays from Noon till 3PM on WINT-1330AM and 101.5 FM and also simulcasts worldwide on the internet at www. 247PolkaHeaven.com, hosted by Joey Tomsick, Denny Bucar and Joe Valencic. The award-winning Girls Choir of St. Stanislav will be performing one concert in Cleveland, and it is an event you won’t want to miss. Details: St. Mary’s CHURCH 6:30 pm, free-will offering (suggested donation $10), wheelchair accessible, secured parking, with a reception to follow in the parish hall with refreshments. CDs will be available for purchase after the concert. The 40-member choir is on their way to Kansas City to perform for 6000 choir directors from all over the world! The girls, ages 16-18, and eight adult guests including a representative from the Republic of Slovenia organization for cultural activities JSKD, are guests of host families from Friday to Monday during their stay in Cleveland. Thanks to those who have opened their homes to our visitors. Thanks to WCLV and 1260AM the Rock Catholic Radio, as well as Slovenian Radio hosts Edi Mejac, Joe Valencic, and Dale Bucar for advertising. 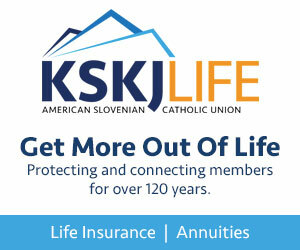 A special thanks to the Slovenian American Times newspaper for their publicity. Thanks to Riddell’s Sausage, R&D Meats, and St. Vitus parish for featuring posters for the concert. Attached is a photo of the group. You can also preview them on Youtube – google Girls Choir St. Stanislav. The group has a website for their Canada/USA tour: Copy and paste the following URL: https://www.stanislav.si/dekliski-zbor-zda/ into your browser. There you can get to know the individual members with their photos and brief introduction by selecting the red text “Spoznajte nas”. Saturday, March 2nd: The Cleveland Kurentovanje parade and festival will kickoff with a 5k Race at 10am. The day will followed by a parade at Noon, and many musical and cultural performances, authentic food and drink, ice carving demonstrations, kids crafts, face painting, a bocce tournament, and much more! Admission is free and open to the public. CLEVELAND, Ohio — The hens appeared to be enjoying unseasonably warm December weather. They were making full-throated clucks as they strutted around the Church of Saint Mary of the Assumption in Cleveland’s Collinwood neighborhood Friday morning. What a difference a year makes. Last December, the same inner-city hens were being described as unwitting accessories to attempted murder. 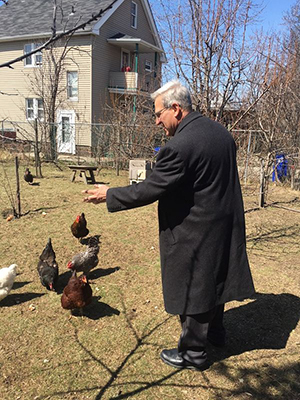 Local and national media had a field day reporting that Father John Kumse, a 66-year-old Cleveland priest, was shot at multiple times when young thugs attempted to rob him of eggs he had just collected from his hens. Father Kumse still chafes at that “poultry” interpretation of the attack that occurred on parish grounds. He also chafes at the fact that he is often mentioned when crime in Collinwood is publicly discussed. The attempted robbery was never about freshly laid eggs. Five teenagers saw an opportunity to rob a solitary figure at dusk and went for it. They didn’t want eggs. They wanted valuables. “A lot of what happens in this neighborhood is misreported or sensationalized. That reality leads to additional problems. I’m convinced the perception of crime and danger is far greater here than the actual reality of crime and danger,” Father Kumse told me Friday. Kumse is a courageous religious leader and part of the necessary community glue that helps keep beleaguered communities intact. Analysis of the sort offered by the priest generally goes missing in the narrative of Cleveland, which is routinely – and accurately – described as crime-ridden. It’s a lack of balance in the storytelling that troubles the veteran priest. Kumse, who has lived and pastored at Saint Mary for 31 years, doesn’t easily tolerate misinformed or casual slights of his neighborhood. He understands that half-truths and rumors reflect poorly on both the neighborhood and his church as well as reinforce fears. Far more good than bad routinely happen in Collinwood and throughout the city, but you wouldn’t know it from the headlines, he argues. Kumse recalls the recent robbery of a 75-year-old woman on her way to mass at Saint Mary. The story made local news. The woman, reportedly an employee of the church, lost her valuables when she had her purse snatched as she prepared to enter the church. The story was a half-truth. “A man did approach and demand her purse. She wisely dropped it, and he left. Here’s the rest of the story,” said Kumse. “The lady does not work for the church. She attends it. There was no money in the purse. She said the only thing of value in the purse was her Monthly (prayer) Reflection. And, she concluded that the purse snatcher likely needed the prayers far more than she does,” said Kumse with a defiant chuckle. 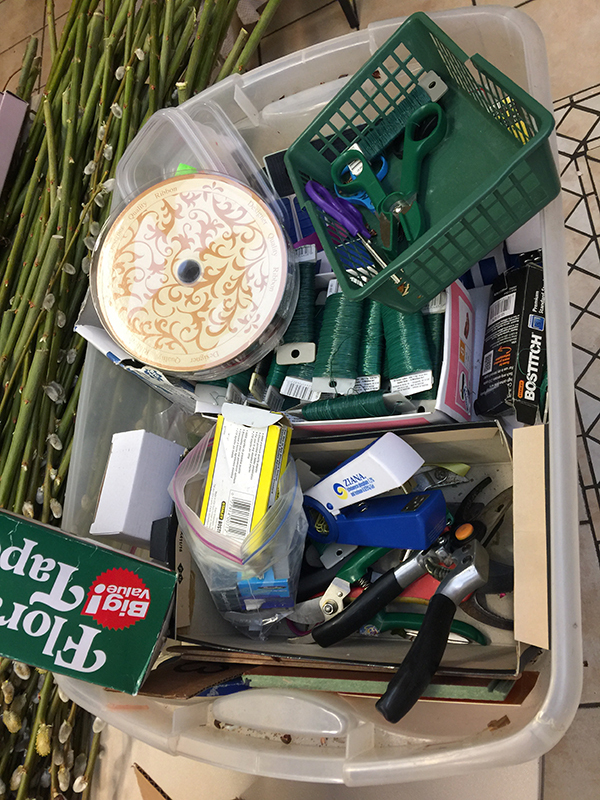 Some may consider the priest hopelessly naïve and fecklessly committed to a neighborhood that struggles mightily with the challenges of urban decay and abandonment. Others may scoff at his contention that Collinwood remains vibrant and open for thriving residential, commercial, and spiritual communities. Kumse doesn’t mind if you call him a believer. Cleveland desperately needs more such believers and neighborhood champions. 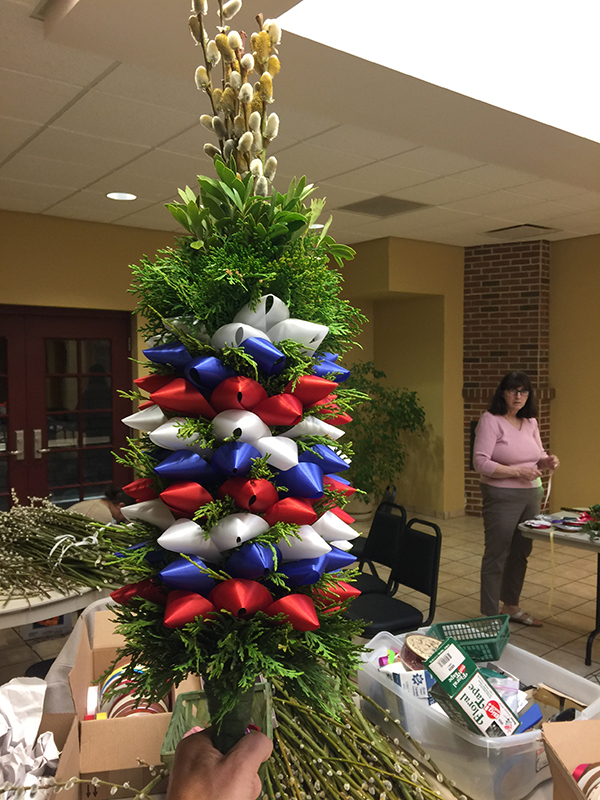 “The church parish stands out like an oasis and is part of what remains good about so many Cleveland communities. People haven’t given up,” said Collinwood Councilman Mike Polensek, a longtime member of the parish. “The community around Saint Mary remains a neighborhood of committed residents. But some people have grown fearful to come into that neighborhood or any parts of the city. That’s what we’re up against. A lot of the challenge we face is about perceptions that don’t always jibe with reality,” said Polensek. Early in January, Father Kumse said he plans to attend the sentencing of three of the males who pled guilty in connection with the 2017 attack. It’s his way of helping to bring closure to the terrifying event that easily could have led to his death. He’s also sending a statement. He’s not backing down and he understands what his church, his neighborhood, and his adopted hometown are up against. “This isn’t an inner-city problem because crime knows no boundaries. This a human problem. We’re fighting against a poverty of values, respect, and spirituality. It’s a fight we cannot afford to run from or to lose,” said the inner-city priest. His hens aren’t going anywhere. Neither is Father Kumse. When you think of Slovenes in the United States of America, you might associate them with symbols ranging from potica nut roll to Carniolian sausage, or even red carnations. But they are probably best known for their unique style of American dance music, based upon old Slovene melodies, which became a national sensation in the 1940s and is still popular in the U.S. today. 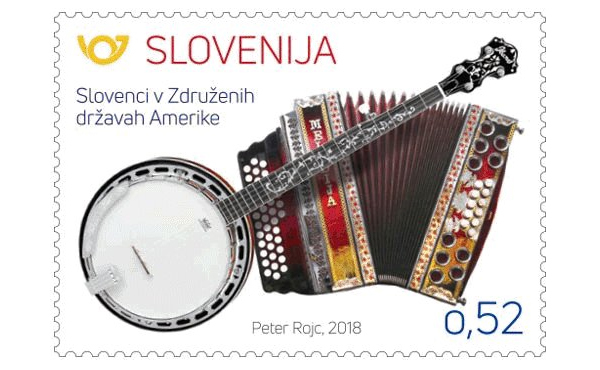 In November 2018 the Post of Slovenia (Pošta Slovenije) decided to honor Slovenes in the U.S. with a stamp that depicts the two musical instruments that best characterize their particular music, while symbolizing both nations: the traditional Slovene diatonic accordion (also known as a button box) and the banjo, representing American country music. In a certain sense, both instruments have been “adopted” by Americans. The accordion originates from the first half of the 19th century in Europe where it soon became an iconic instrument of Slovene traditional music. Slovenes emigrating to the U.S. at the turn of the 20th century brought it with them and soon developed their own version of polka music, known as the Slovenian-style or Cleveland-style polka. But the popularity of this genre of dance music went beyond just Slovene communities. Other Americans took a liking to it, too. The banjo followed a different route. The instrument originates from Africa, having been brought to the U.S. by slaves, first to southern states. The banjo’s popularity later spread across the U.S. and it became the most recognizable and distinctive instrument of country music. Slovene-American bands combined the button box and the banjo in the 1920s to create a new sound that is still enjoyed a century later. The First Day Cover from the Post of Slovenia includes a postmark featuring the Carniolian sausages (Kranjska klobasa). It was issued on November 9, 2018 also at the Embassy of Slovenia in Washington DC by Ambassador Stanislav Vidovič. QUIZ QUESTION: Which Grammy-winning Slovene-American entertainer often combined the button box and the banjo in their polka recordings? Please send your answers to: sloembassy.washington@gov.si by December 15. The winner of the First Day Cover of the above stamp will be drawn from the lot of correct answers. Please forward this mail to anyone you think might be interested in information or the quiz. Zarja Slovenian Singing Society EUCLID, Ohio — As I sit here composing this article, it’s the middle of August and the temperatures are certainly reflecting that. It seems that Oct. 28 is a long way off, but it’s time to start working on the Zarja 2018 fall concert. As usual, our fall program will be in concert format and will include a wide variety of styles of Slovenian and English music, with an emphasis more or less on memories. The chorus will reprise a couple of songs from our Spring Frolic that our audience particularly enjoyed, including a really great arrangement (not mine) of “Down by the Riverside” and “Pesem o svobodi” by Radovan Gobec. Specialty numbers and a couple of instrumental pieces will compliment the chorus selections. Of course, roast beef and klobase sandwiches, desserts and beverages will be available for purchase, and music for dancing and listening will be rendered by Patty C & The Guys. Tickets are $10 in advance and $12 at the door. Advance tickets may be purchased by contacting Barbara at (440)257-2540, Karen at (216) 481-1379, the Polka Hall of Fame at (216) 261-3263, or your favorite Zarja member. Join us for an enjoyable afternoon of music on Sunday, Oct. 28, at the Slovenian Society Home, 20713 Recher Ave. in Euclid. The doors will open at 2:30 p.m. and the program will start at 3; Patty C & The Guys will be performing right after the program. 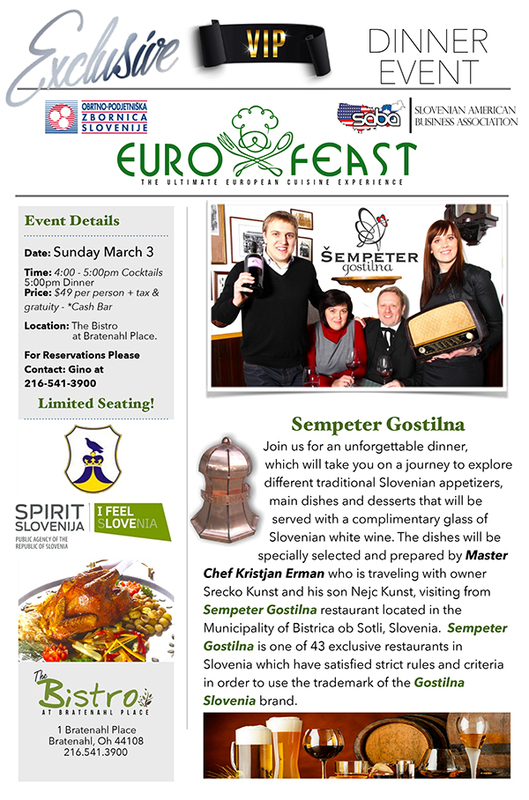 Thanks to everyone for your support in helping us to keep Slovenian music and culture alive in the Cleveland area. We’ll see you at the concert!